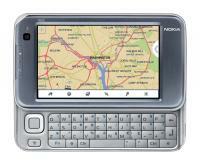 Nokia N810 news and review links. Looks great from the outside. Specifications look acceptable too although there may be some resistance from people who are looking for a slide-out keyboard. At 15mm thick and weighing only 200gm, this is on the leading edge of MID designs.